Thanks to Jon Schindehette at Wizards of the Coast for the great commission on the Seldarine painting. It was done for the book Divine Power, a D&D 4th Edition book. The Body Language painting was a cover done for Orson Scott Card’s Intergalactic Medicine Show. 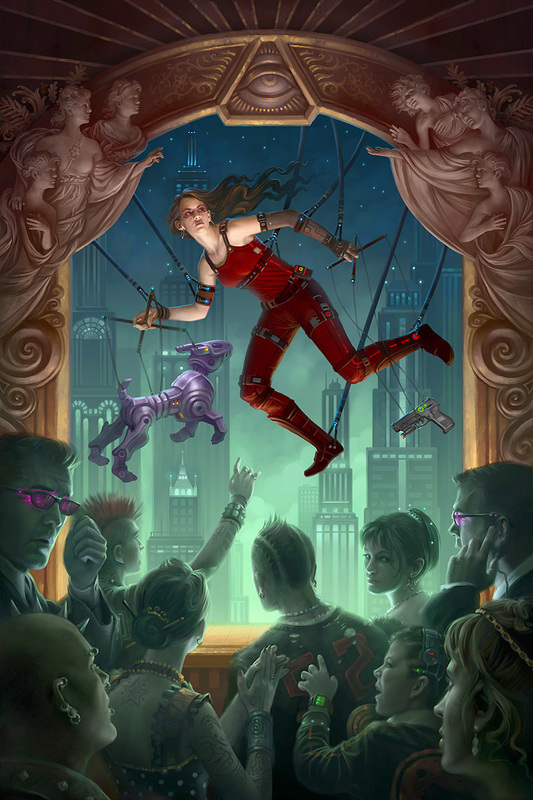 Thanks to Kathleen Belamy and Orson Scott Card for the great commission and to Mary Robinette Kowal, the author of the story the illustration was created for. I have managed to squeak into Spectrum again this year. Last year’s book was pretty wonderful, I am really looking forward to seeing the collection this year. I don’t know which piece or crosses fingers pieces made it in, but I will post when I find out.